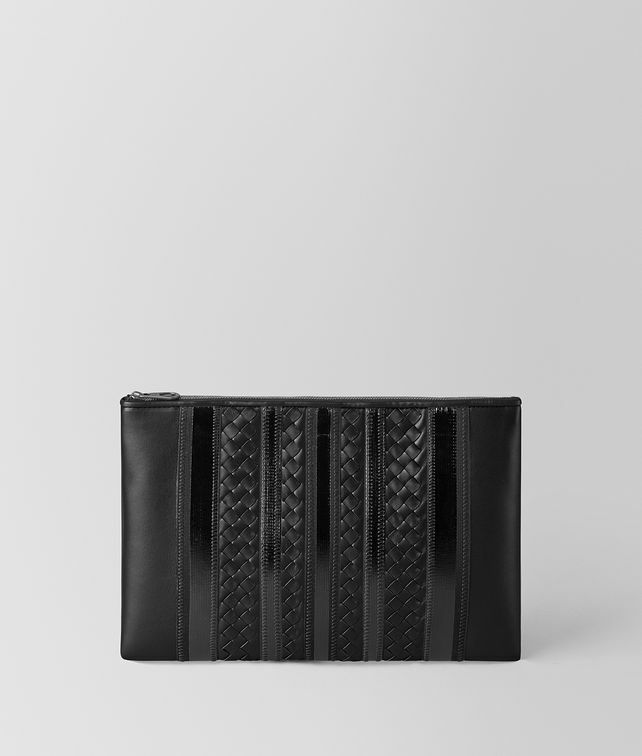 This large zipped pouch features the new tech stripes workmanship, bringing a bold touch to an essential accessory. The unique look is achieved with a mix of handwoven nappa intrecciato and coated grosgrain ribbon finished with zigzag stitching. The hardware features a signature brunito finish. Height: 19.5 cm | 7.7"